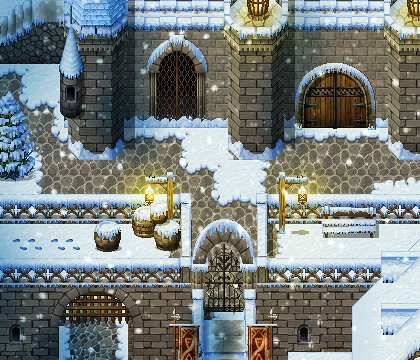 Ancient Dungeons: Winter| RPG Maker | Create Your Own Game! From chilly crystal ice palaces to snow-capped villages and cities, this is a must-have pack for the winter season! The second expansion pack of the popular Ancient Dungeons, this time set in the theme of winter. Please purchase the Base Pack to achieve its full potential. 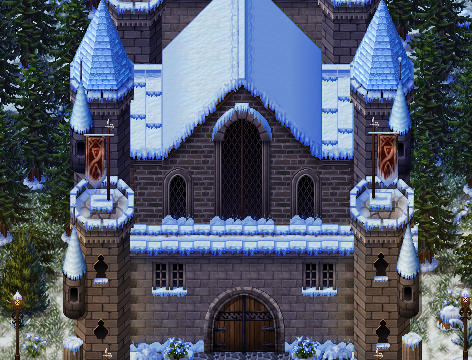 Created by Celianna, Ancient Dungeons: Winter has a snow version of the Base Pack exterior tiles, as well as an all new nature tileset, great for decorating your snowy landscapes. It's also perfect for those dark and cold caves. Not what you had in mind? Perhaps an ice palace is what you need for your game instead! This pack will have you covered. Animated water auto-tiles, as well as an animated waterfall character set. A2 and A5 floors, including packed snow, ice and snowy variations of dirt, grass and stone. Animated tiles for doors, gates, chests, crystals, Christmas tree and light sources. Complete snow Tile B, including snowy cliffs, plants, stone formations, and other natural decor. Complete town Tile C, including snow-covered town essentials such as a well, bridges, tents and more. Complete cave Tile C, including inner ice and snow cave structures such as walls, stalagmites, stairs, and more. Complete town Tile D, including snow-covered roofs, market, fences, gateways and more. Tile E, including windows and other essentials needed to bring your maps to life!